Learn men's haircuts and shaving services with these in-depth barbering videos from renowned barber and educator Sid Sottung, only on MHD. World class professional hairdressing education and barbering mastery is a prerequisite for Sid Sottung. Formerly working within Vidal Sassoon's globally acclaimed hair salons, New York born Sid progressed into the field of professional hair education and taught at the Vidal Sassoon Advanced Academy in Mayfair London, Vidal Sassoon School of Classic Cutting in Davies Mews London and the Vidal Sassoon Education Centre in Los Angeles. Following his successful career at Vidal Sassoon, Sid then pursued a dynamic freelance career, working backstage at a selection of the worlds most revered international fashion shows, collaborating with avant-garde cutting edge photographers in fashion editorial work, crafting hair for television and film productions, in addition to attending to his ever growing celebrity male & female clientele internationally. 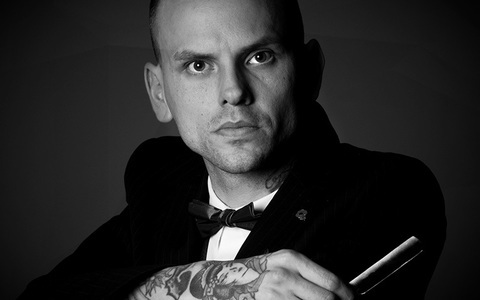 As an integral part of his career as a professional hair educator, Sid has actively taken part in educational shows and on stage teaching seminars for a selection of the leading names in professional hairdressing including Wella, Fudge, Davines and Vidal Sassoon, in addition to providing an exclusive in house bespoke educational service to prestigious leading international and national hair salons, barber shops, education schools and colleges globally. It is this very dedication to the provision of high quality elite hairdressing and barbering education that proved to be inspiration behind the opening of COBRA Hair Academy and then for him further his career by opening up his own academy, Sid Sottung Academy. Sid Sottung's barbering tutorial is a men's traditional wet shave. Sid demonstrates the safe and correct method to use a straight razor including cutting angles and handling.